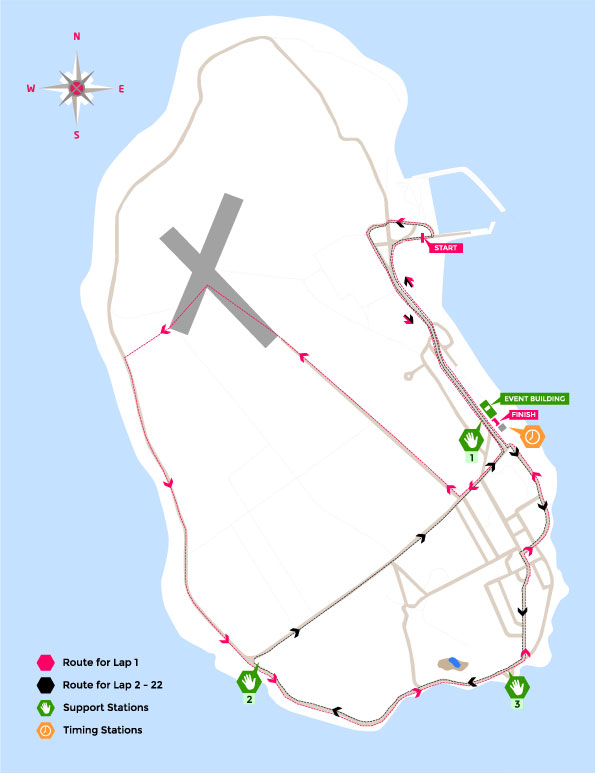 Your first circuit will take in around 6.8 miles (11km) of Robben Island’s incredible scenery, including a sweeping stretch of wild Atlantic coastline. Thereafter you’ll settle into a 4.4-mile (7km) loop that winds through the forested ground and the village housing of those who reside & work on the island. Apart from a 200m saunter over a gravel-covered airstrip, the route is entirely tarred. It’s mostly flat, too, except for a mild incline where the road crosses the island. Support stations will keep walkers refreshed and offer first aid if required. Support stations will keep walkers refreshed and offer first aid if required. University of the Western Cape massage therapists will assist walkers for much needed TLC.